John: John Vurpillat in Crown Point, Indiana. 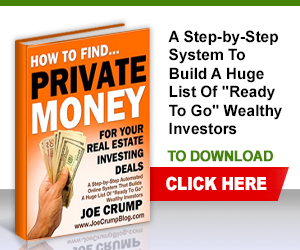 The first real estate transaction I did with Joe’s methods was probably back in 2009 that we did. And part of that we built a lot of stuff in real estate and we’d get 95% of the way and never could finish it. We met with Joe, went through his methods and were able to actually get them done. And we did start as the “For Rent Method”, but in talking with the people we ended up acquiring a lot of the properties. We ended up with them either through subject-to’s or doing land contracts on some of the properties. So we were able to move very quickly from about 3 properties to about 12 to 14 within a few months. John: We had our first deal done within I’d say 3 or 4 weeks. John: Well, again, we acquired the property on a subject-to deal so we’d been making money every month on it, and again, we’ll have the property down the road in the long run, so it’s sort of hard to say what we’re making on it, but we were making $300 or 400$ a month net cash flow on that on just the monthly. Eventually we’ll have the property owned free and clear. John: No. it was very, very easy. It’s just picking up the phone and getting those calls made. As I’ve learned more, I can do better on that and having to listen to 20 to 25 minutes of the people wanting to tell me their life’s story, and get it down to where I can work on helping them. That’s my biggest thing is helping them and it becomes much easier as you’ve done this a few times. John: On the first deal I probably had 2 hours total time. And then, by the time I wrapped it all up and had all the paperwork signed and everything (just because we spent a little extra time on that) it was probably three. 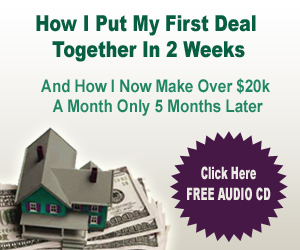 John: The best deal we’ve done so far… Well, for me, I’ve gotten some deals where I just had to do property management. I enjoy that part of it simply because it’s sort of in an out with the property. So I get to get in, I get it rented, earn my rent every month and my fees every month. Somebody else is responsible for the mortgage and stuff like that. So those I enjoy. But probably the easiest one that we’ve done was just literally one – we picked up the phone made the call on the For Rent Method, the person said they weren’t interested, I talked to them a few times and they said, ‘Really, my issue is I’ve got a cousin living in there. I need to get my cousin out.’ And so we ended up working out a subject-to deal on the property. That one took less than an hour’s worth of work, and will end up probably making $120,000 when it’s all said and done. John: So, somewhat. And that’s what I’m always learning more and more about is ways to automate. We use List Builder, I’ll send out those emails, things we’re just getting into using, e.g. Elance and some of the other things that Joe is showing us. And that’s what I’m really looking forward to learning more about is how to get this system more automated. John: We’re fortunate that we’ve got sort of several pillars in our business so I have different methods to bring in cash flow for us and this is just one that I’m hoping that I can sort of set up, get it running on its own, and still do the other things I want, yet have an opportunity to generate cash flow. John: I definitely want to outsource some of the tasks. I want to make it to where literally it’s just another stream of income that I can earn with very little work on my part. 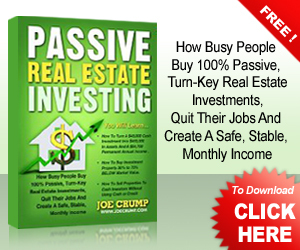 John: With real estate investing, I want to get it down to working about 10 to 15 hours a week and spending the rest of the time on the boat, vacationing and other things like that. The goal is to minimize the number of hours I have to work. John: It was actually through the internet and it was actually through his newsletter. It was the first thing I did. And I got looking at it and one of the things I liked is that I’m from Indiana, and Joe is from Indiana. The biggest thing is that when we put in some inquiries into it, it was actually Joe that called us back. With some of the programs we’d been involved with before, I’d go to a class and I’d learn something from someone but I could never call that person. I could call an 800 number and just talk to whoever was there, but it’s not the same person that taught you a class, and we’re basically told you couldn’t contact them. And I didn’t like that. I thought, ‘Well, they don’t have anything invested in this now,’ whereas with Joe, you talk to Joe. And you get to meet with him and it’s his ideas and he’s willing to partner with you and willing to work with you and willing to do what you need to do to get your business going. John: Joe’s method takes you from start to finish whereas some of them stop short of that. 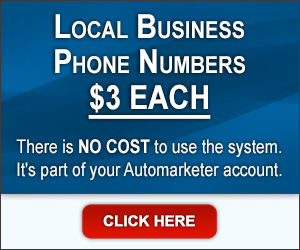 They give you the ideas and they say,’ This is all you have to do and make one phone call and you’ll have a hundred people wanting to do business with you.’ And it didn’t work that way – they couldn’t answer the questions. 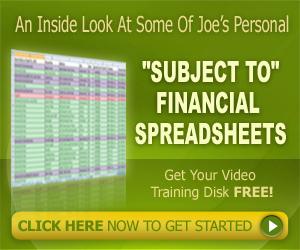 With Joe, you go through the scripts and you do the different things. He teaches you that it’s okay to get no’s and it’s okay to get yes’s and how to handle them and what to do with them to make it work. And he works through it, and if it doesn’t work, you pick up the phone and you call him and he’ll work with you on what’s not working. He doesn’t just say, ‘Well, did you follow the script I gave you?’ ‘Yes I did.’ ‘This is an objection I got. I didn’t know how to handle it.’ ‘Here’s how you handle it.’ And it’s him that you get to talk to – it’s not somebody else. John: Automate. 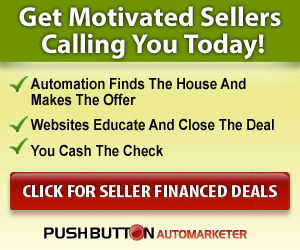 That’s our big goal for this year is to get as much of this automated as we can and then be able to do some of the other stuff we like to do in real estate. We’re doing some stuff with REO’s (real estate owned properties). We’re doing some property management. I know Joe’s not big on property management but it’s a part that I like to do for other people. And as a business consultant we’re doing a variety of things. 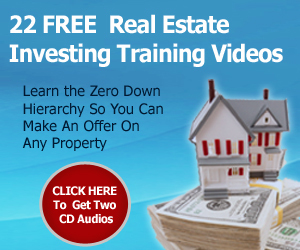 The real estate’s allowing us to do the other things that we want to do in our business and in our life. We do some of the other things that we want to do. We want to do some things in our church and some other things like that and that just makes it nice to be able to do those things and have the time. John: Basically I love being self-employed. I love not having to work for somebody else. I can set my own hours; I can come and go as I please. If I don’t want to go to the office one day, I don’t have to. 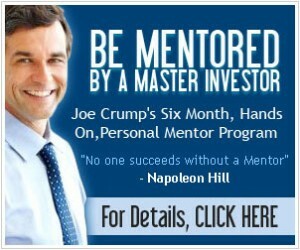 John: Get involved with Joe Crump. That would be the biggest advantage I think anyone could have. And do what he says. The thing that I like is that when you come to one of his classes and one of his training sessions, the people that are there have done it and are doing it. He shows you how to do it. He makes you do it while you’re in the class so that you get better at it, but he’s right there to help you. And the biggest thing to do is just to do what he says. Don’t try to change it. Don’t try to reinvent the wheel. What he’s given you works and just follow his methods. It really works to stay with it. John: But you need to get involved with either his Push Button Method or his Six Month Mentor Program. You need to get involved with him and then start the For Rent Method. The For Rent Method is the easiest method. There’s no cash out, it’s all money coming in. you just have to be able to be willing to pick up the phone and talk to people. 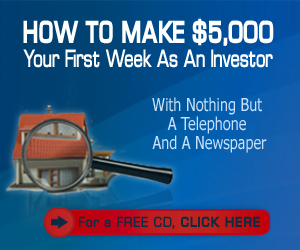 As long as you can do that, you can make money in this business. John: It’s very scary. It’s very hard to talk to people on the phone because you’re worried about the no. But the no is not the issue. I know that it takes a certain number of no’s before I get to a yes so a no is just one step close for me. And I know that I can help them. They have to realize that I can help them and once they do, then we’ll do business. John: We’ve had numerous times where we’ve had people we’ve talked to who, six months later, call us up and want to do a deal. So because we were honest with them and we didn’t shut them down or make them feel stupid or anything, we tried to work with them, and it just comes about the right way for you. So it just is a way to make money and it’s a way to help people at the same time. So you can do both. John: No, this is a lot of fun to do. If you’re looking at getting into it, Joe is the guy to be with. There’s a lot of other groups out there. 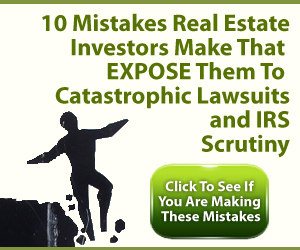 There’s a lot of other companies out there that do real estate investing. But you will not have the hands on experience and the ability to actually do it and make money that you have with Joe. With Joe – he’s the real thing. I know him personally. I have referred insurance people to him. I’ve referred other people to him and I just have a lot of confidence in Joe. John: What he teaches me – the big thing is that he gave me the confidence to do what’s easy to do. It doesn’t take a genius to do this. It just takes somebody that’s got a little bit of time and a little bit of energy, and then you can get this done and make some money. What Type Of Properties Should You Have In Your Long Term Portfolio?